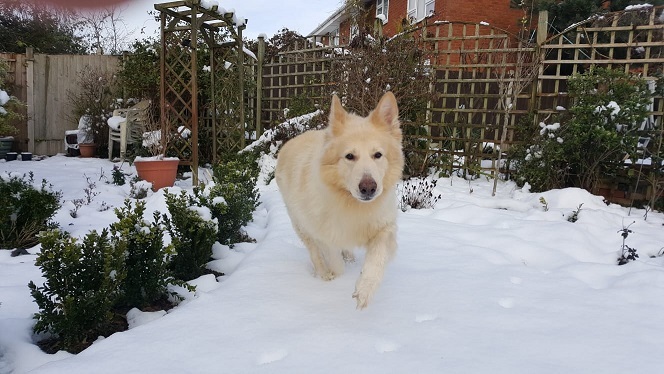 Casper is a beautiful 8 year old boy who, as sometimes is typical of the whites, can be rather nervous and over protective. Sadly Casper has become so attached to his owner that he sometimes makes owner nervous when visitors arrive. However when our volunteer arrived he was greeted by Casper, who was muzzled, which our volunteer asked to be removed immediately and Casper was as good as gold and just wanted a fuss and a belly rub. Therefore going forward we will need to find Casper a quiet home who are experienced of the breed and can give Casper confidence. At the moment Casper is walked but never allowed off lead, as again he can be vocal to other dogs but on the whole he is fine. 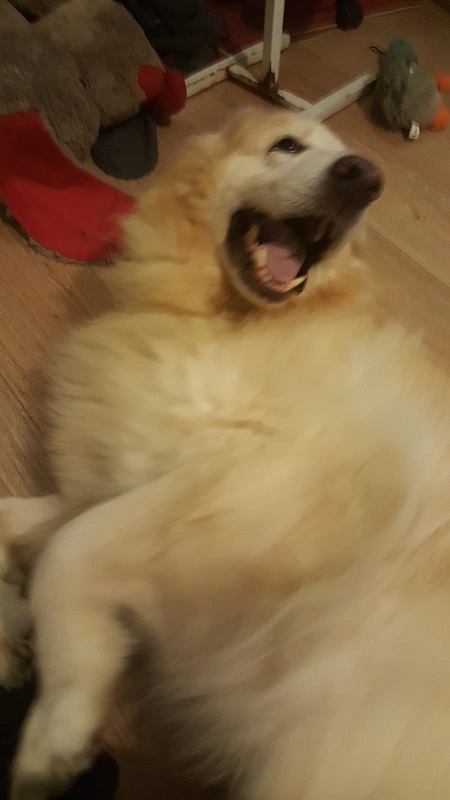 Casper will make a wonderful companion and he might be 8 years old and getting a bit stiff in the old joints but he still has a lot of love to give to the right owner.